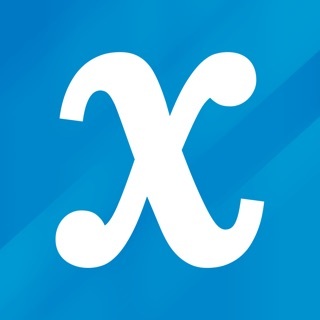 STUDYPUG MATH TUTORS COVER YOUR ENTIRE MATH CURRICULUM! Get professional math help that covers algebra, calculus, statistics & more. Improve your grades with short & simple math lessons that are delivered by expert math tutors. IF YOU’RE STUDYING IT, STUDYPUG’S COVERING IT! Whatever you’re studying in math, our videos make it easier. Our math tutors cover basic math, high school algebra & college level calculus. They're super friendly & each lesson provides easy to follow examples for every aspect of your curriculum. Intermediate Algebra, CLEP College Algebra, and more! AP Calculus AB, AP Calculus BC, Precalculus, Differential Equations, Differential Calculus, Integral Calculus, and more! AccuPlacer, CBEST, ATI TEAS 6, Trigonometry, Organic Chemistry, and more! Your first 3 days are free. If you enjoy your trial, do nothing and your membership will automatically continue. Cancel anytime, there are no long-term contracts or cancellation fees. Plans start at $2.99/week, $9.99/month or $39.99/6 months. To our existing customers, if you didn't subscribed through iTunes, you can manage your subscription via the StudyPug website. Updated the App Store description. The app itself is great. It’s a shame it has such a low rating, due to the raging 12 year olds. But if you’re willing to spend some money for a membership, you won’t regret it. I admire how the app thoroughly goes through each concept for each section. My only complaint is that it does not work for a 10 inch iPad. But other than that it’s really helping me catch up to my grade level quickly in mathematics. It's a really great app but having to pay over one hundred and fifty bucks a year is ridiculous if you guys the in a few ads here and there without having to pay will make your app more successful. Also try to cover more lessons because I couldn't find some of my hard lessons and table stressed me out. Other than that it's a really great app in general. Other than having to pay. © Copyright (c) 2014, StudyPug Inc.